Most complaint about Android device is often about the battery not lasting long enough. 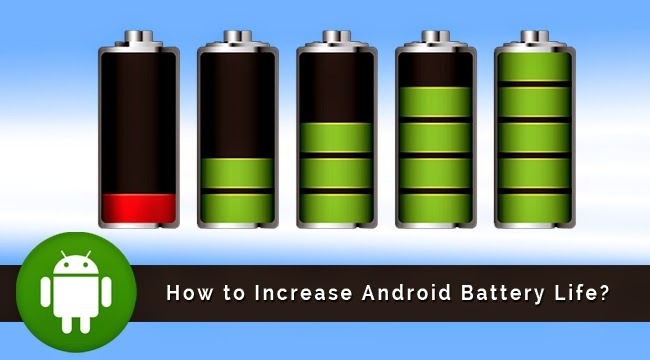 These tips will help extend your cell or mobile phones battery life and keep them healthy. 1. Switch off the vibrate function of your cellphones, always use ringtones only. 2. Reduce the brightness of your mobile phones backlight to the lowest especially when you are indoors. 3. Keep your phone in a cool environment, over heat causes battery to drain faster. See also: How You Can Boost Your Phone’s Battery Life!! 4. Always turn off your bluetooth. 5. Always turn off features like Hotspot, WIFI, WLAN and GPS when not in use. 7. Activate GSM instead of 3G mode in your mobile phone when you are not browsing the net. 8. Avoid using Animation and live images as wallpapers. 9. Use black background themes.